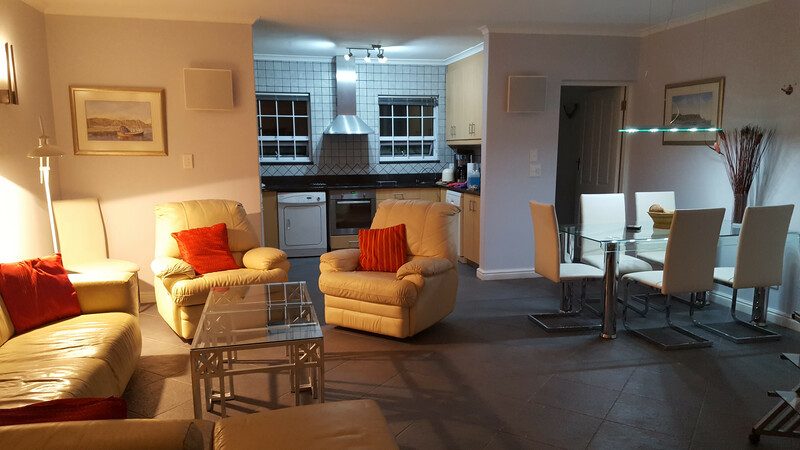 Cottage Cabernet at "Constantia Cottages"
You will love this charming double storage cottage in Constantia with underfloor heating throughout. 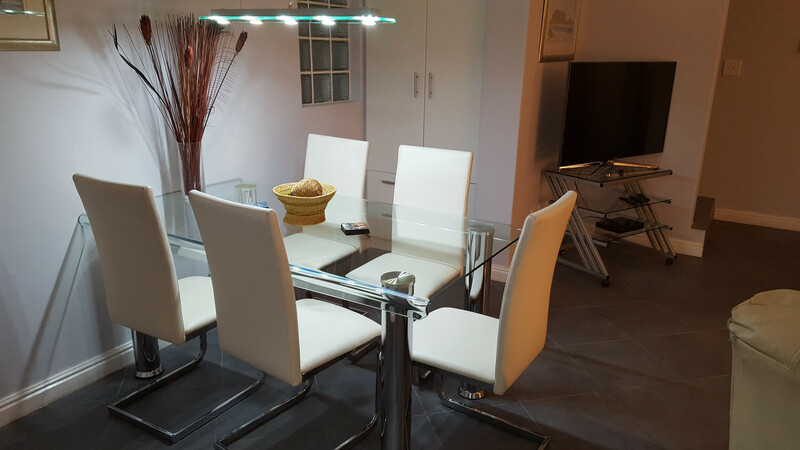 Open plan dining room with dining table. Satellite-TV, Internet access. fully fitted kitchen. 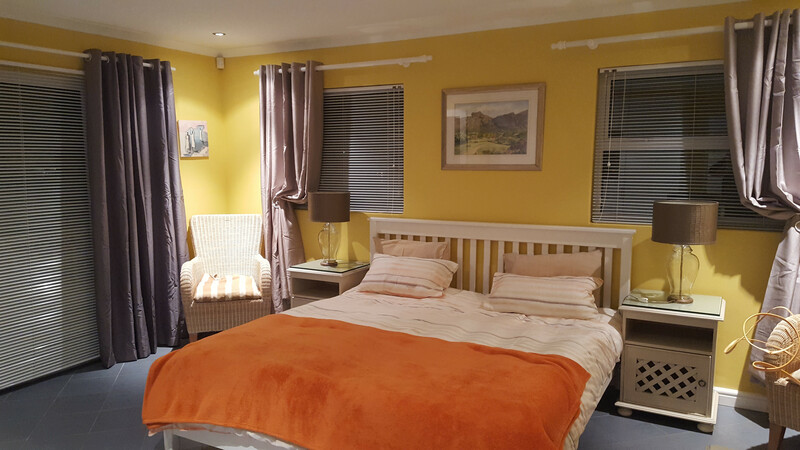 Main bedroom with King-Size-Bed, second bedroom with Queen-Size-Bed, both en-suite to stylish bathroom with deep corner bath and big shower cabin. TGCSA 4-star-graded and AA Highly Recommended. 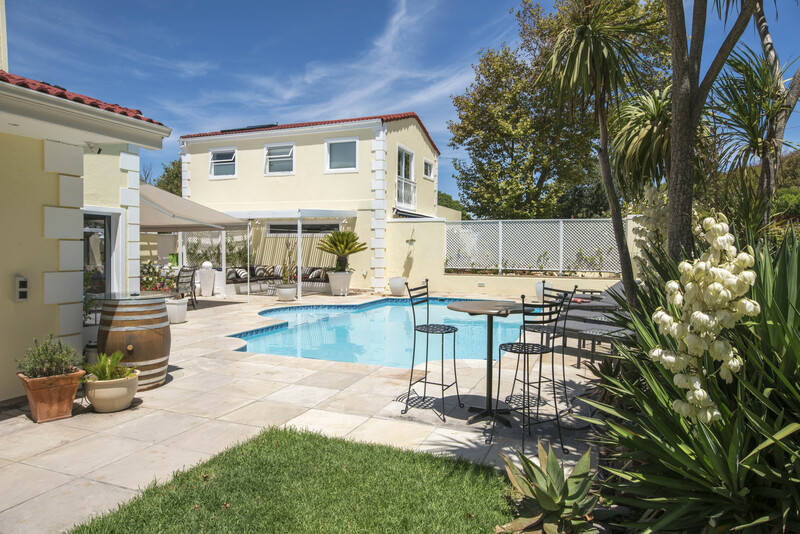 Our TGCSA 4-star-graded Cottage Cabernet is situated in the up market leafy suburb of Constantia, close to the Constantia wine routes, premier golf courses, the Constantia Village Shopping Centre, Kirstenbosch Gardens, nice beaches and nature reserves. 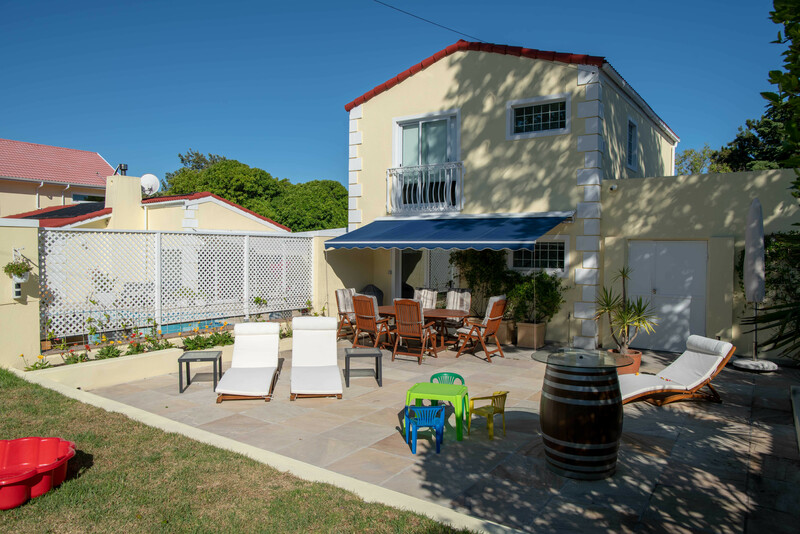 This self-catering accommodation is an ideal base from which to explore the Cape. 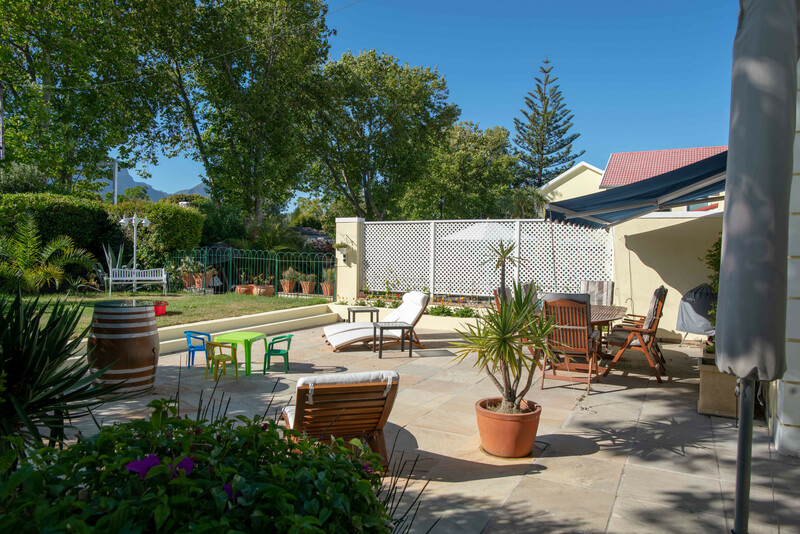 Take a day trip to the world renowned Stellenbosch and Paarl, with their fine restaurants and wine routes or try the historical Tulbagh, famous for its Cape Dutch architecture. 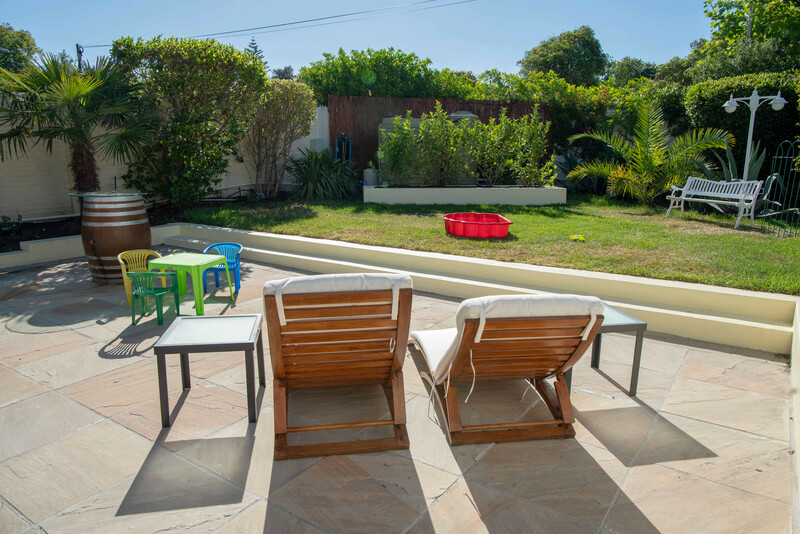 "Constantia Cottages" including Cottage Cabernet has been endorsed as HIGHLY RECOMMENDED in the category Self-Catering Cottages/Chalets. You will love this charming double storey Cottage! 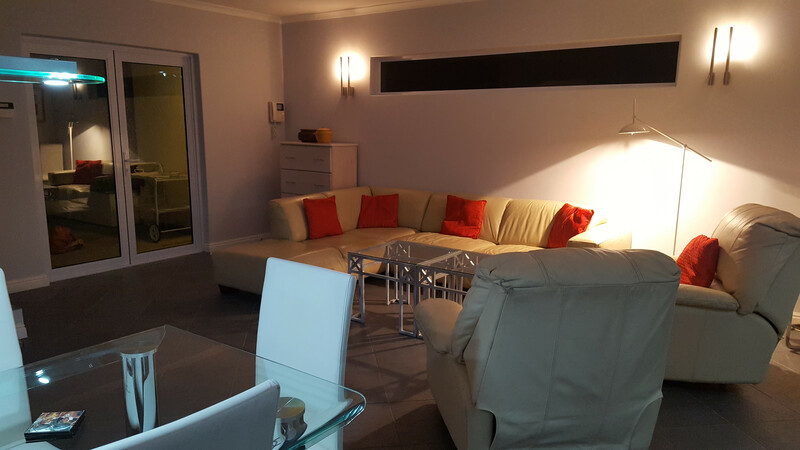 Open plan lounge, TV room with Satellite-TV and dining room with 4-seater dining table. 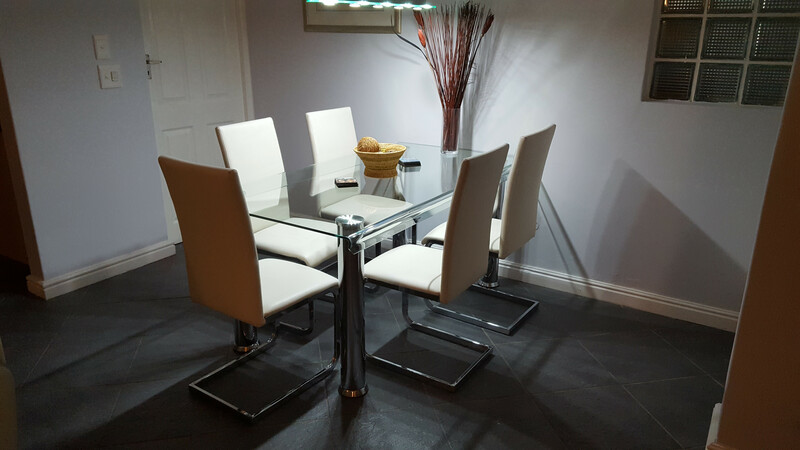 All with underfloor heating. 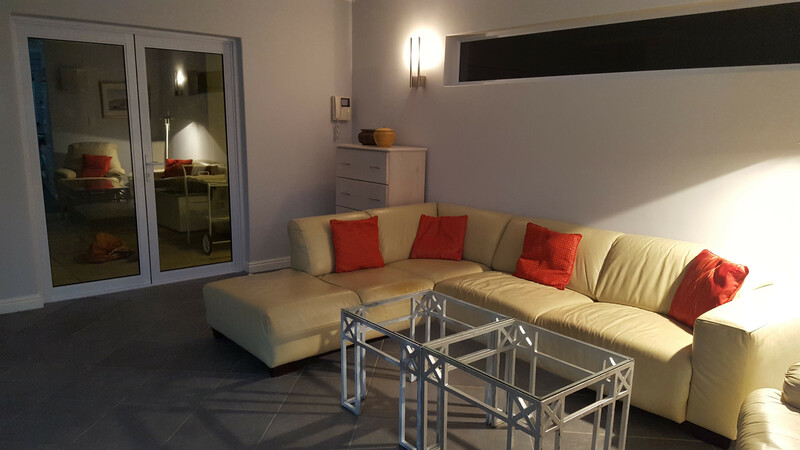 Lounge/TV room open onto garden. 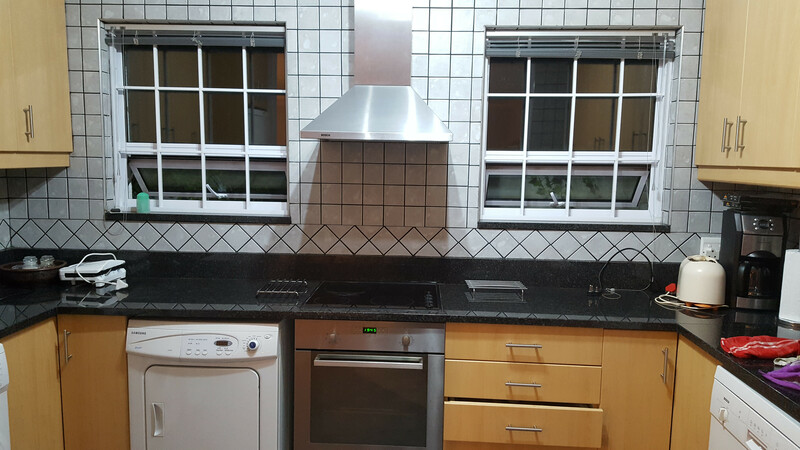 Fully fitted kitchen open plan onto living room, with big fridge, stove, microwave, dishwasher, washing machine, tumble dryer, iron. Additional single bed used as a day-bed normally. Underfloor heated all around. Separate guest toilet. 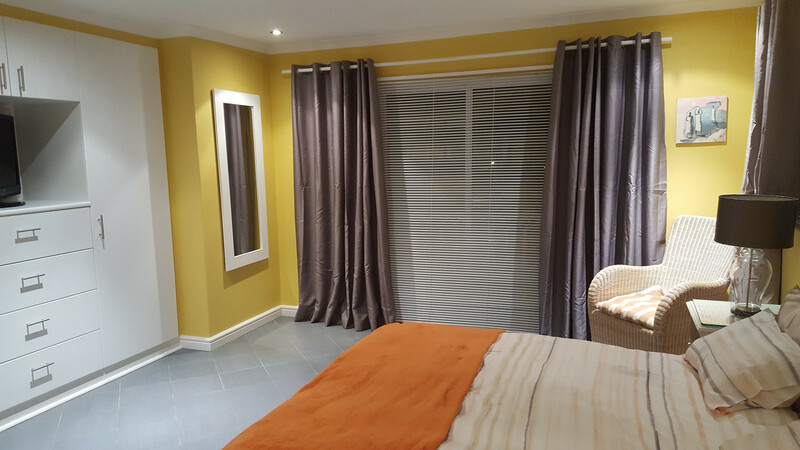 Main bedroom contains a King Size Bed with built-in cupboard, bedside tables, hairdryer, Satellite-TV, double window doors open onto garden. Second bedroom contains one queen size bed, bedside tables, built-in cupboard. 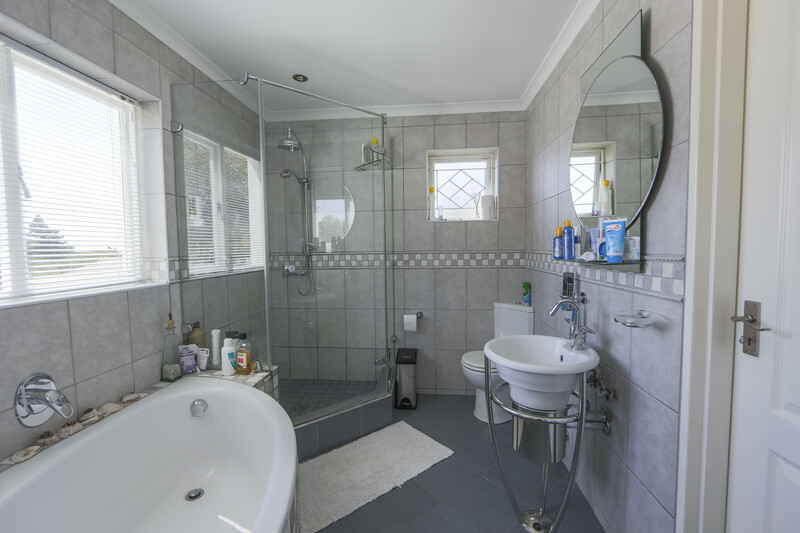 Both bedrooms en-suite with an elegant and stylish bathroom with a nice deep corner bath, big shower cabin, smart basin/cabinet and corner toilet. Soft fluffy towels provided. Underfloor heated all around. 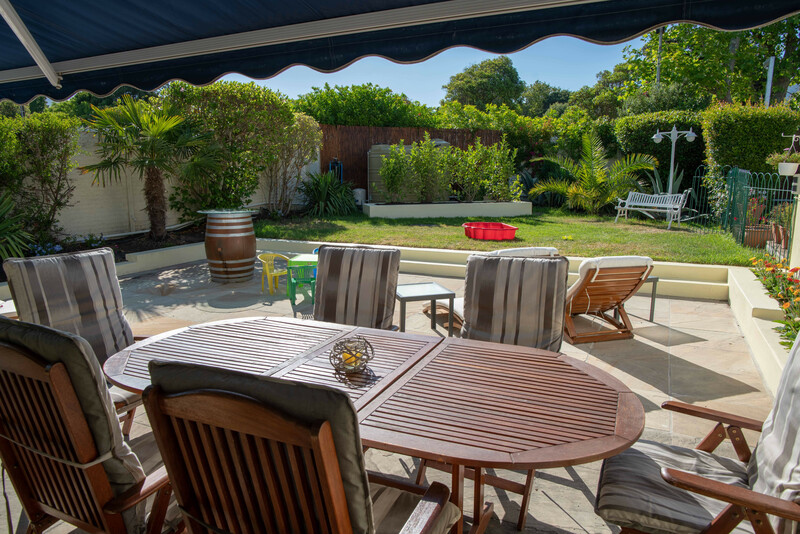 Garden and lawn with sun loungers, 4-seater table and BBQ/Braai facilities as well as access to the beautiful solar heated swimming pool shared with max. three other parties at Constantia Cottages. 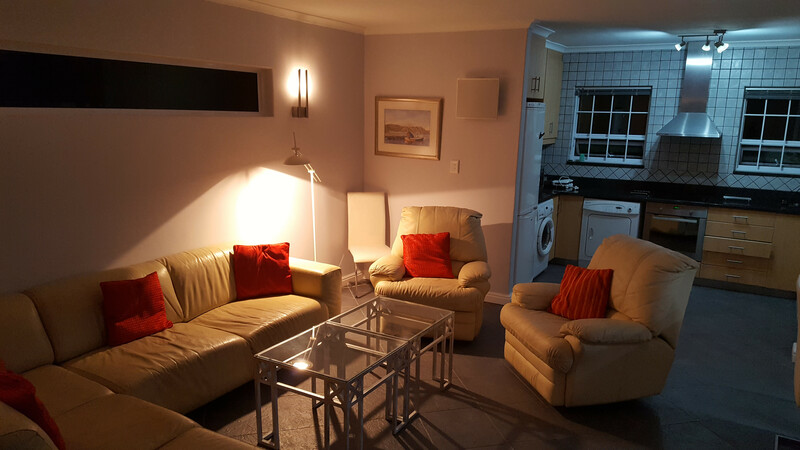 You can rest assured with garage parking that has direct access to the garden and cottage. Maid service and garden service twice a week at no charge.